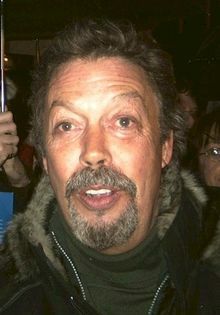 Timothy James "Tim" Curry (April 19, 1946) jẹ́ òṣèré ará Amẹ́ríkà. ↑ "Tim Curry Biography (1946–)". Filmreference.com. Retrieved 15 September 2009. Àtunṣe ojúewé yi gbẹ̀yìn wáyé ni ọjọ́ 26 Oṣù Kẹ̀wá 2018, ni ago 09:31.